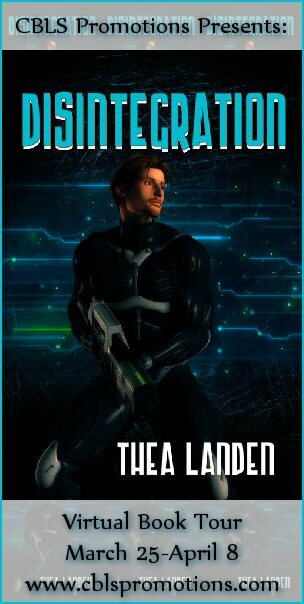 Thea Landen: "Disintegration" Virtual Book Tour! The Disintegration Virtual Book Tour kicks off today! Thanks to the fantastic people over at CBLS Promotions, I'm taking over the internet for the next two weeks with interviews, guest posts, etc. If you want to follow me around to learn everything from my thoughts on paranormal romance to the story of my most embarrassing moment, check out the full schedule. There's also a giveaway going on throughout the tour, so come win more stuff!